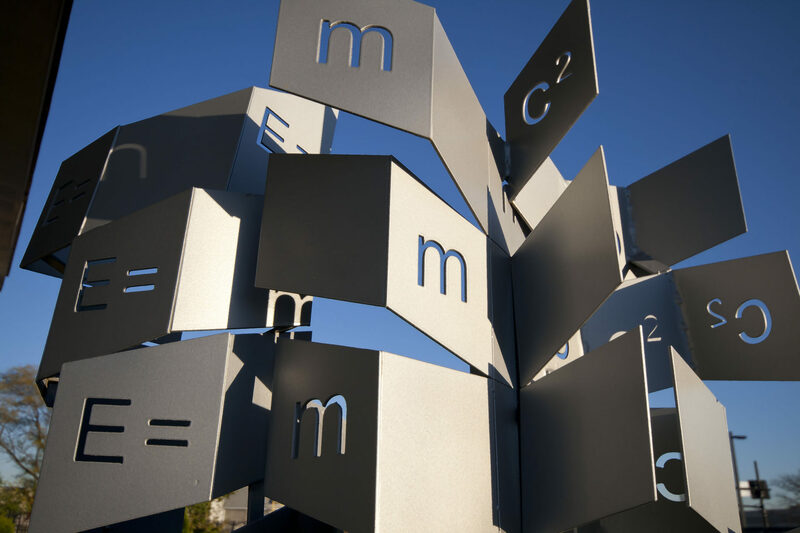 Challenges: Create robust signage for exterior application on Direct Supply Campus. 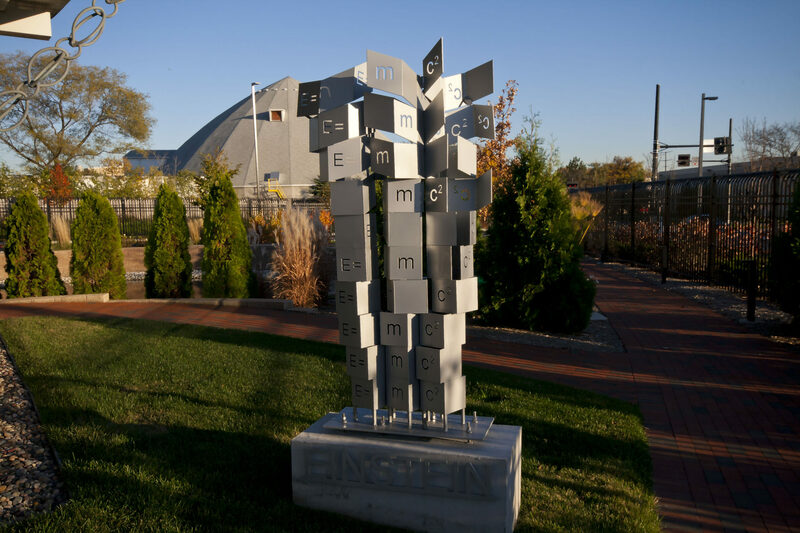 Create a work that artfully depicted the essence of the man Einstein. 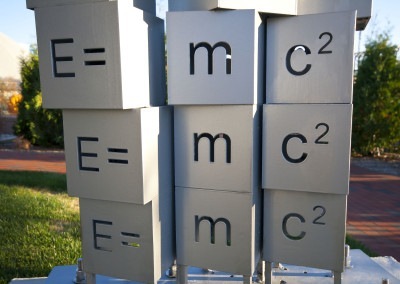 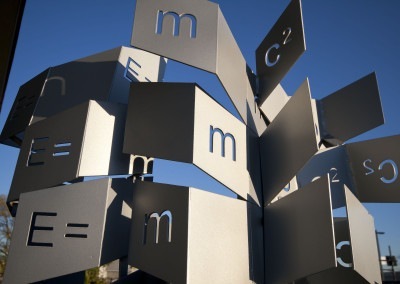 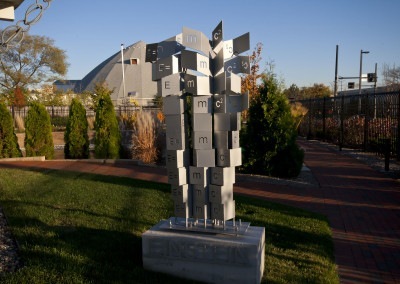 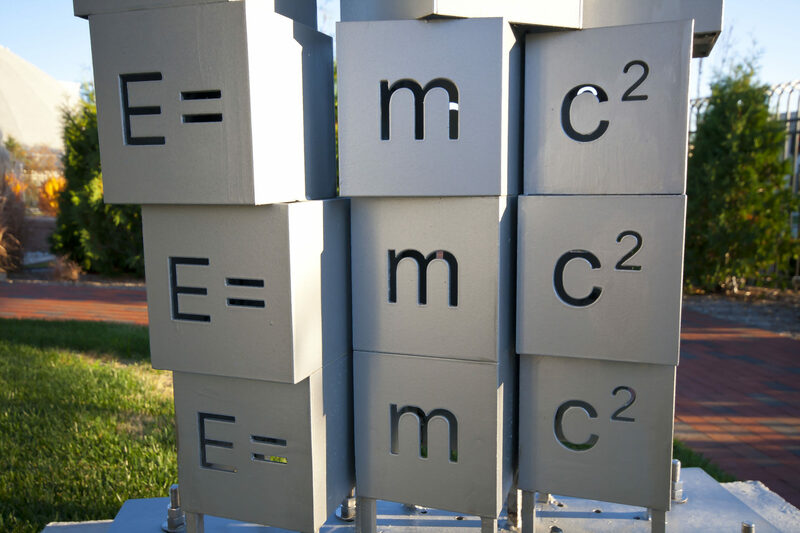 Solutions: We visually depicted Einstein’s General Relativity Theory ( E=MC2) using small cubes that gradually unfold into planes of energy-expending motion as the sculpture moves upward, toward the sunlight.